The DEWALT DWAFV0458 FLEXVOLT 4-5/8 inch Carbide Wood Hole Saw Blades are engineered to maximize runtime. It offers carbide teeth for long life, and a thin kerf design for high efficiency. 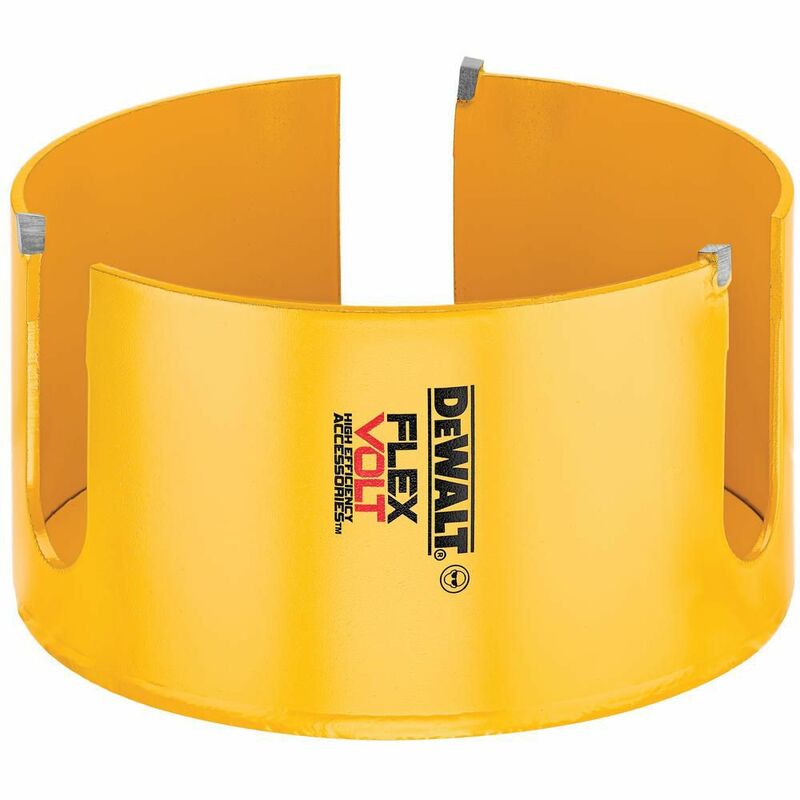 FLEXVOLT 4-5/8 Inch Carbide Wood Hole Saw The DEWALT DWAFV0458 FLEXVOLT 4-5/8 inch Carbide Wood Hole Saw Blades are engineered to maximize runtime. It offers carbide teeth for long life, and a thin kerf design for high efficiency. FLEXVOLT 4-5/8 Inch Carbide Wood Hole Saw is rated 5.0 out of 5 by 2. Rated 5 out of 5 by Sherry from The Dewalt Hole Saw worked wonderfully. This was a hard... The Dewalt Hole Saw worked wonderfully. This was a hard to find size, but The Home Depot came through for us by ordering it on line. Rated 5 out of 5 by John from I needed a hole saw to cut a hole in... I needed a hole saw to cut a hole in the lens board of a 1860s wooden tintype camera. The extremely hard African mahogany can fray but the sharp precision blade made short work of it. The installation of the vintage 1860s lens completed my camera. I have a complete set of hole saws.